The rituals of Hinduism are drawn mostly from the Vedic and Tantric traditions. The growth of Shaivism, Vaishnavism and Shaktism and the emergence of temple traditions also influenced the ritual and spiritual beliefs and practices of Hinduism. Most popular Hindu rituals are known as Yajnas, Homas, Vratas, Puja, Nitya Karmas, Archanas, and Arathi. Our knowledge of Hindu rituals is drawn mostly from the Srauta texts or Kalpa Sutras. Kalpa is one of the six Vedangas or limbs of the Vedas. 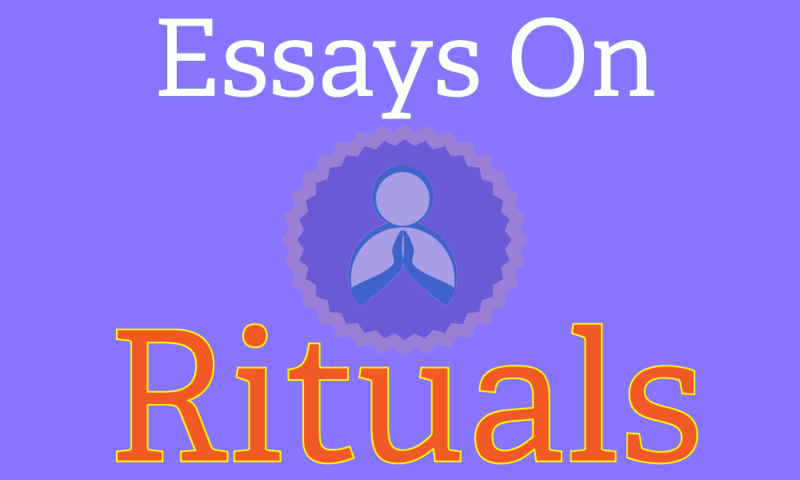 Hindu rituals also have a symbolic significance as the internal rituals such as Yoga and Dhyana. Hindu ritual model is also the basis for many beliefs and concepts of Hinduism such as creation, karma yoga, procreation, rebirth, birth and death, etc. The following is a list of important essays available at Hinduwebsite.com about the ritual tradition of Hinduism.